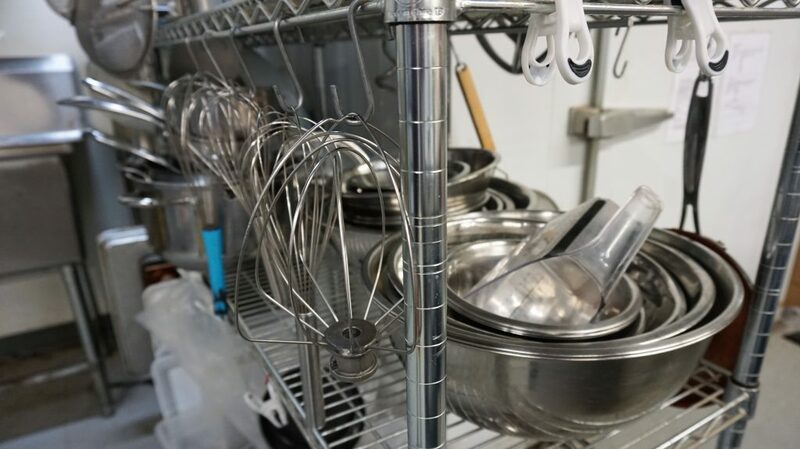 Bakers prepare dough for pies, bread, rolls and sweet goods, batters for muffins, cookies and cakes and icings and frostings according to recipes or special customer orders, bake mixed doughs and batters, and frost and decorate cakes or other baked goods. Bakes ensure quality of products meets established standards and draw up production schedule to determine type and quantity of goods to produce. They purchase baking supplies and may oversee sales and merchandising of baked goods. Bakers may also hire, train and supervise baking personnel and kitchen staff. 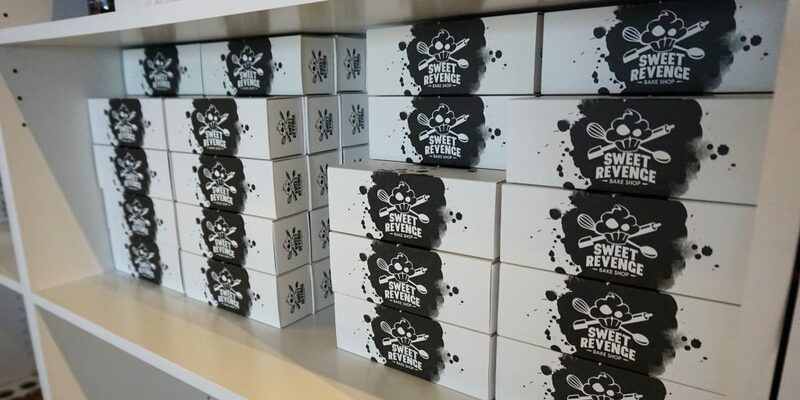 We spoke with Saskia Scott, the Owner and Head Baker at Sweet Revenge Bake Shop in Windsor. 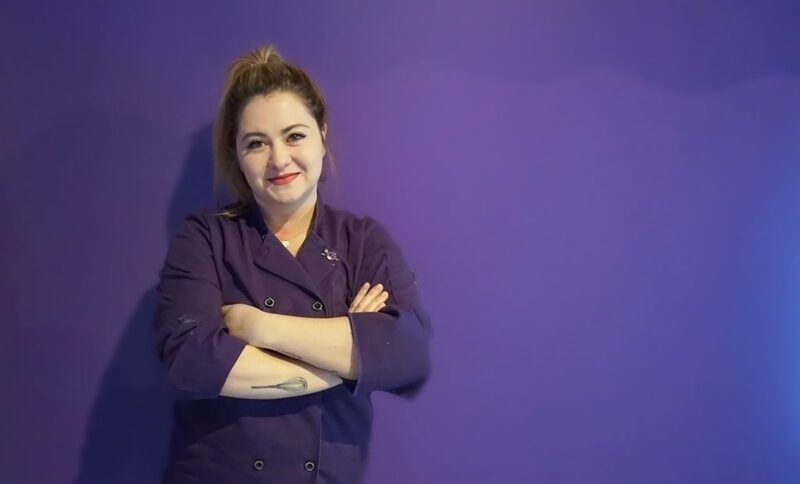 Saskia is a Red Seal Certified Pastry Chef who graduated with Honours from the Baker/Patissier Apprentice program at George Brown College. How long have you been a Baker? what was your training/schooling? I have been making cakes for over 12 years. I started volunteering in bakeries before taking coop in high-school at a bakery. Did the co-op program, got some apprenticeship hours there, did OYAP through that, did an apprenticeship, got my 6000 hours of on the job training. Went to George Brown College in Toronto, did my two years there, finished my Baker Test, then my Level One test, Level Two, and Patisserie is Level 3. Then I came back to Windsor; wrote my Red Seal, passed, and opened the bakery. The bakery has been open now for 5 years. Why did you choose to come back to Windsor and open your bakery here? After finishing school in Toronto I wanted to open here because Windsor has a lot of potential. Especially the type of bakery I wanted to open, there was nothing else like it. We are definitely a more trendy, ‘Instagram-able’ bakery. There’s a tonne of my type of bakery in Toronto, so there’s a lot of competition. But there really isn’t anyone in Windsor making the type of stuff you see on Instagram, and having it available to the public to walk in and pick it up in a brick and mortar shop. We open at 11am so our days start at 7am and typically run 8-12 hours, depending on what is needed to be made that day. This depends on the bakery though, for example bread makers need to be there at 2am to begin the lengthy process. When we come in, we finish the work that was prepped the day before. At the bakery the second part of the day is prepping for the following morning, and the next morning is finishing the work you started the day before. We definitely stay busy. It’s a lot of careful timing and planning. 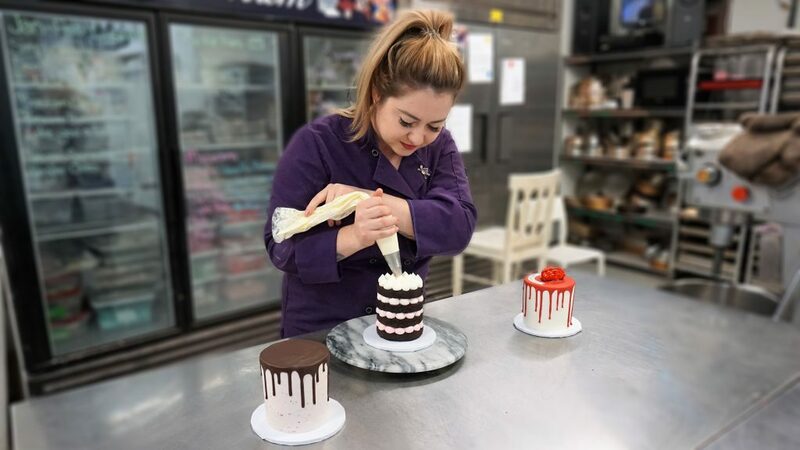 We gather and measure ingredients, mix batter, bake the desserts, and spend time carefully and thoughtfully decorating them. It’s a well-timed routine of mixing the next batter while you have the previous batches in the oven. We need to be great at multitasking and managing our time. The best part of the job is definitely seeing the customers reaction when we bring out the finished product. Its so great, it just makes my day. I especially love making wedding cakes, it feels really great to be a small part of making someone’s big day extra special. Is this a career FIELD that is growing in windsor? Oh definitely, there are more and more bakeries popping up in Windsor. The great part about the bakeries that are opening is that they are doing quality baking from scratch, and not from box-mixes like we used to see. I don’t see these bakeries as negative competition, I believe that there’s more than enough customers to go around. I believe in collaboration not competition. The small-shop community in Windsor is wonderful. I often refer customers to other bakeries that I know and trust if we are unable to complete a order, I’m happy to do that. 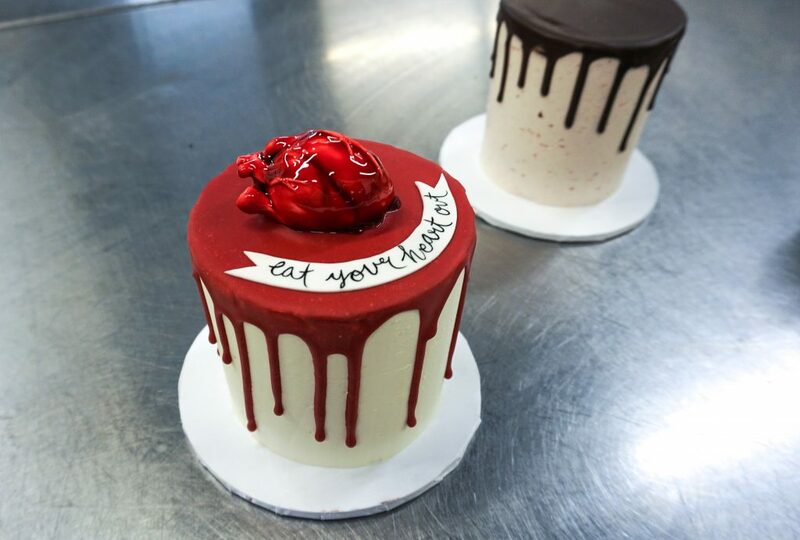 What advice would you give to someone interested in becoming a baker? I would definitely say take Co-Op, or Volunteer if you can. The Co-op program lets you test out to see if this career is definitely something your interested in, before you go putting the hours and money into schooling. The experience and knowledge I gained from learning on the job is so valuable. Many young students may see Co-op as “working for free”, but you’re working for your education, from mentors who will teach you the skills that you will use throughout the years. That has so much value. I often hire employees who volunteer or do their coop placement with us, because I get to see that they have the drive and passion for the job, and the willingness to learn. That’s what we are looking for in the next generation of bakers, and I’m happy to do my part to contribute to that. What is the biggest thing you’ve learned on the job? Effort and attitude trumps skill any day. If you have a good attitude and are willing to put in the time, you can go really far in this industry. 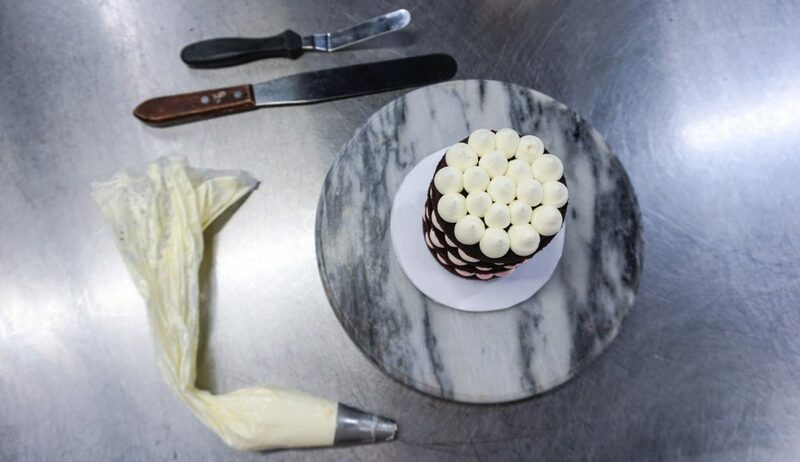 You can learn even more about Bakers through our detailed Career Profiles. Do you work in a skilled trades position, and are you willing to be interviewed for a Workforce Profile?